This image may not be used in educational posters. Carbon dioxide molecule. Molecular model showing the structure of a molecule of carbon dioxide. Carbon dioxide is a colourless gas that occurs naturally in the atmosphere and has an important role in animal and plant respiration. It is a greenhouse gas, where its increased emission due to human activity contributes to global warming. 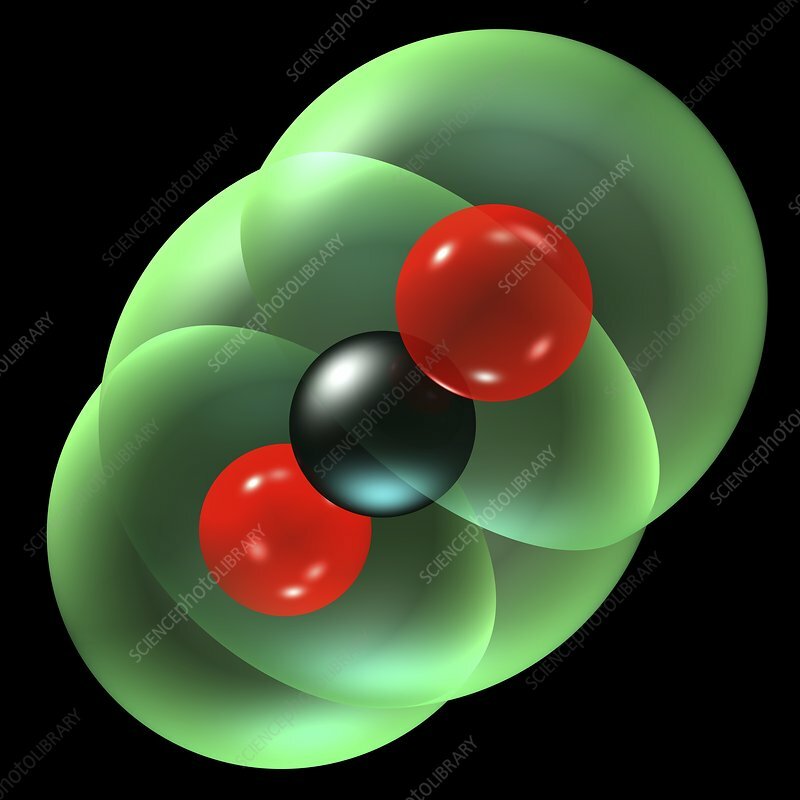 Atoms are represented as spheres and are colour-coded: carbon (black) and oxygen (red).